Headaches are the most frequent reason children miss school and adults are absent from work. Women are disproportionately affected, as they represent 70% of headache sufferers. 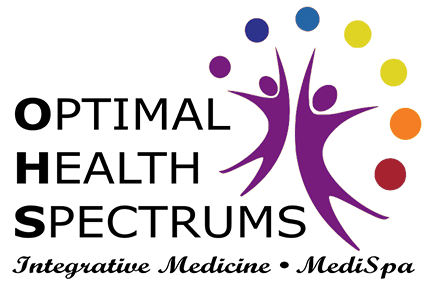 Dr. Lynne R. Mielke and Sandi Kreizenbeck, DNP, at Optimal Health Spectrums in Pleasanton, California, offer integrative medicine services for everyone living with headache pain. Instead of treating headache symptoms with over-the-counter medications, contact the office to schedule an appointment. They determine the cause of your headache and develop a natural treatment plan to relieve the pain. Mild-to-moderate, non-throbbing pain, with pain on both sides of the head. They usually don’t worsen when you move. Moderate or severe pain, pounding or throbbing, lasting from four hours to three days and usually occurring one to four times a month. Accompanied by other symptoms, such as sensitivity to light, noise or odors, stomach upset, abdominal pain, nausea or vomiting, or loss of appetite. Most severe type of headache, with pain described as intense, with a burning or piercing quality that’s throbbing or constant. Pain located behind one eye or in the eye region. These headaches come in a group, or cluster, occurring one to three times daily during a cluster period, which may last two weeks to three months. Headaches are challenging to treat because they have so many possible causes. Although the most common headaches are not related to an underlying health problem, there are dozens of diseases, illnesses, and injuries that give rise to a headache, including a simple cold or sinus infection (sinus headache), overuse of pain medications, neck degeneration, and head trauma. What are the advantages of integrative medicine for headache relief? Practitioners of integrative medicine are dedicated to treating the whole person. That means they take the time to explore your physical health, emotional well-being, and daily life so that every possible contributing factor can be identified and addressed, often mitigating the need for medications! Dr. Mielke and Nurse Practitioner Sandi also use specialized lab tests to detect hormonal, nutritional, or biomarker imbalances that may impact your headaches. Our goal is to find the true cause of your headaches and create a treatment tailored to your needs. We use a natural approach as much as possible, which may include herbal treatments, dietary supplements, or IV nutrition therapy, while incorporating traditional medicine when necessary.